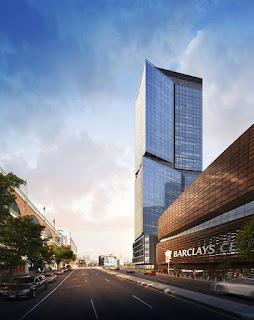 In what's not a surprise, the tower at the northeast corner of the arena block, B4 (aka 18 Sixth Avenue) will contain 810 rental apartments, rather than a mix of rentals and condos, as once planned. 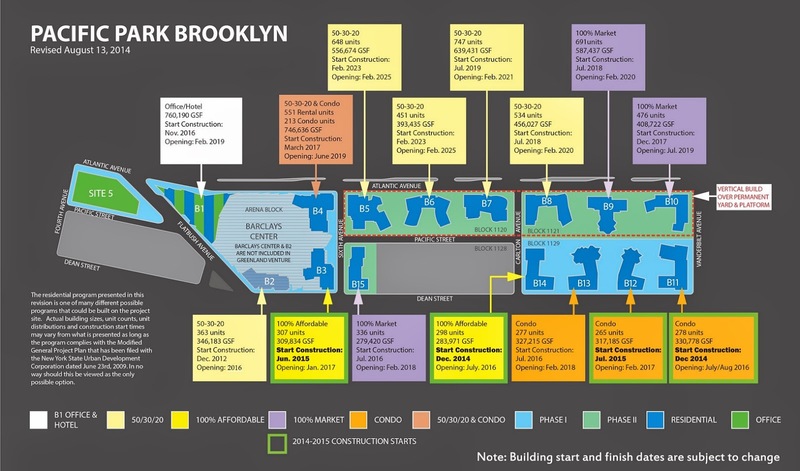 It would be a huge addition of inventory to Pacific Park, which so far has 1,242 units in four (of 15/16 expected) towers. The news, first reported yesterday by the Real Deal, comes in the wake of a filing with the Department of Buildings describing a tower 509 feet tall, and with 814,177 square feet of bulk, both slightly below the allowable totals. The tower will be designed by Perkins Eastman, not SHoP, which once had the arena block job (after Frank Gehry, once touted as designing the whole tower, was ditched). Construction is supposed to start in the second quarter of 2019. The tower will include 727,059 square feet of residential space and a not inconsiderable 51,682 square feet of commercial space. With 62% coverage of the .73-acre lot and little room for open space, it makes for a very large Floor Area Ratio of 24.4, according to the filing. 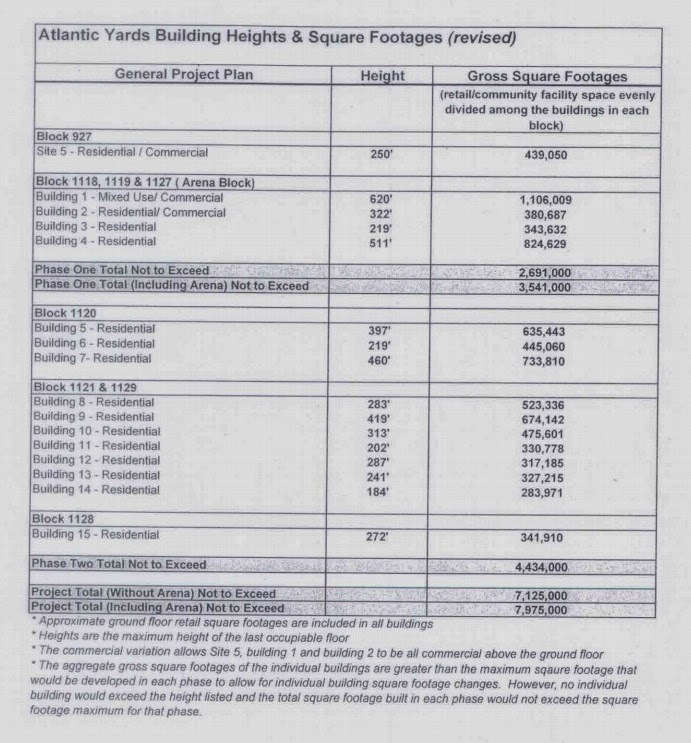 While the tower was once planned, as of August 2014, to contain 551 rentals and 213 condos, for a total of 764 units, the loss of the project-wide 421-a tax break makes condos less likely, and the developer has an obligation to complete 1,468 more affordable rental units by 2025. Rental units are typically not as large as condos. While developer Greenland USA, which controls 95% of Greenland Forest City Partners going forward, confirmed to the Real Deal that the building would be rentals, it didn't say anything about the affordability level, but the 421-a tax break is retained for rental buildings with at least 25% or 30% below-market units, depending on affordability.